THIS IS AN ABRIDGED VERSION OF THE ORIGINAL POST. To view this post in its entirety, please click here. Driving up Broadway in Newburgh from Grand Street (that would be west for those of you who don’t drive up or down Broadway; you know who you are), there is a little take-out shop on the left-hand side between Clark and Williams streets called Just Fish. This place stands out from all the other shops on Broadway as it has a distinct, simple color scheme: bluish grey with white and dark grey trim. It is immediately noticeable among the brick and glass shops along this route. It reminds me of a shop you would see in Maine or Rhode Island, and I’m guessing that’s the point. 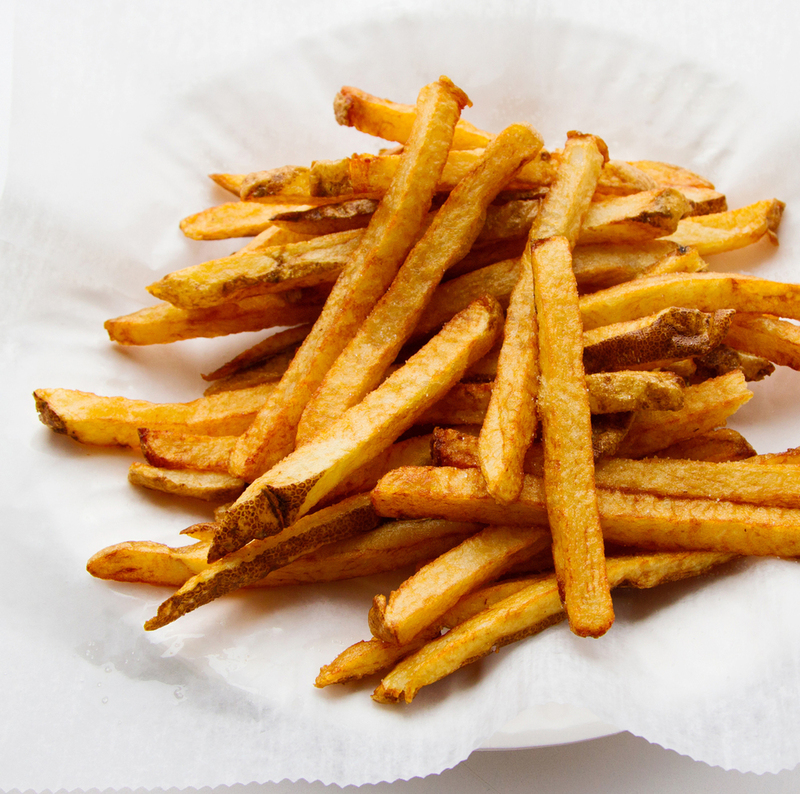 The French fries are hand cut to order. The sauces: cocktail, hot sauce and tartar sauce. Elaine Bevier (Craig’s mother) and Craig Bevier in the window at Just Fish. Just Fish is just that: fish, or seafood if you will. Duh. Craig Bevier (a rare native Newburgh-er shop owner) opened the restaurant just under a year ago. His idea came from his love of fishing with his father when he was a boy and the fact that Newburgh didn’t have a seafood place west of Water Street. It’s a very smart little shop with the same color scheme on the inside. Behind the counter on a chalkboard is the menu, from which you order different kinds of fish either fried or broiled with a choice of one or two sides. The most popular fish are the tilapia and the fried shrimp (oh yeah!). Occasionally, there are specials. Everything is house-made including, among other things, the potato salad, collard greens, sauces, and French fries (which, by the way, are really darn good). Craig also hand-picks the fresh fish at the market in NYC.